. WARRANTY VOID LABELS IN PLACE TO PREVENT SWAP OUTS. . WHAT YOU SEE IN PIC IS WHAT YOU WILL RECEIVE. WE TRIPLE TEST EACH UNIT. EVERY UNIT LEAVES HERE IN 100% WORKING CONDITION. 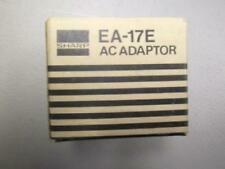 Sharp EA-17E ac adaptor in the box. Works fine. AC Adapter taken from a Sharp laptop to be used as a spare part. 100-250V Input. Delta Power Sharp ADP-30KB Cisco PN 34-0635-01. loc A12E-7. Loc A31B-6. Unit has been used and tested. Model N. PAT048A12EU. 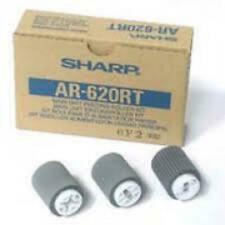 SHARP AC/DC ADAPTOR. Input: AC 100-240V ~ 50/60Hz 1.2A. Output: 12.0V - 4A. Product Code 398. Model Delta Power Sharp LTD Adp-10sb. Main Use Electronics & Photo AC Adaptor. Condition Refurbished with UK power cable. AC Adapter. Flat Panel Monitors. Printer Parts. Server Parts. Product Code 933. Model Delta Power Sharp LTD Adp-65db. Main Use Notebook AC Adaptor. Condition Refurbished with UK power cable. AC Adapter. Flat Panel Monitors. Printer Parts. Server Parts. Product Code 567. Model Delta Power Sharp LTD Adp-36xb. Main Use Scanner AC Adaptor. Condition Refurbished with UK power cable. AC Adapter. Flat Panel Monitors. Printer Parts. Server Parts. 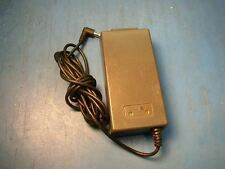 Sharp AC Adapter EA-GP3V DELTA ADP-90AB 19V 4.74A. Condition is Used. Dispatched with eBay delivery – Shutl 2-3 days. Genuine Sharp Dpwbfa223urk Display and Board. Condition is Used. Dispatched with Royal Mail 1st Class. Type: Remote. Specifications are subject to change without notice. While every attempt has been made by RepoGuys in the production of these specifications, possible errors or omissions may still occur. Model: G1206AJ. Type: Remote. Specifications are subject to change without notice. While every attempt has been made by RepoGuys in the production of these specifications, possible errors or omissions may still occur. Genuine Sharp part. (Bulk Job Lots). Power Panels / Hinge Covers. This will automatically include the product details and any order information which will enable us to help with your query faster. Safe & Secure. Y OU WILL RECEIVE A HIGH SERVICE STANDARD. SUPPLIED WITH 3 MONTHS WARRANTY FOR PEACE OF MIND. Genuine Sharp part. Power Panels / Hinge Covers. This will automatically include the product details and any order information which will enable us to help with your query faster. Safe & Secure. Light Wear.